Researchers from security vendor Symantec have identified a new premium-rate SMS Android Trojan horse that modifies its code every time it gets downloaded in order to bypass antivirus detection. "As with malware that affects traditional computing devices, the level of sophistication of the polymorphism used can affect how easy or difficult the threat is to detect," said Vikram Thakur, the principal security response manager at Symantec. "More complicated polymorphism requires more intelligent countermeasures." In the case of Android.Opfake the level of polymorphism is not very high, as only some of the Trojan's data files are being modified by the distribution server. "If antivirus vendors place their detection on the executable and non-changing sections, all files would be successfully detected," said Tim Armstrong, malware researcher at Kaspersky Lab. However, if the Trojan's executable code were also polymorphic, the challenge of detecting it would be more difficult, he said. 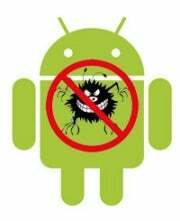 However, he agrees that polymorphic Android malware could force antivirus vendors to step up their game in the future. "I think many of the features that are currently available on traditional platforms will start to arrive on these mobile platforms out of necessity as the criminals change their attack methods," Armstrong said. Users should become more aware of this fact and the capabilities of their mobile devices, which are now similar to those of mobile PCs, Yaneza said. "They should treat app downloads with the same caution as they do on desktops," and install or make use of whatever security add-ons they can as this creates another protective layer.